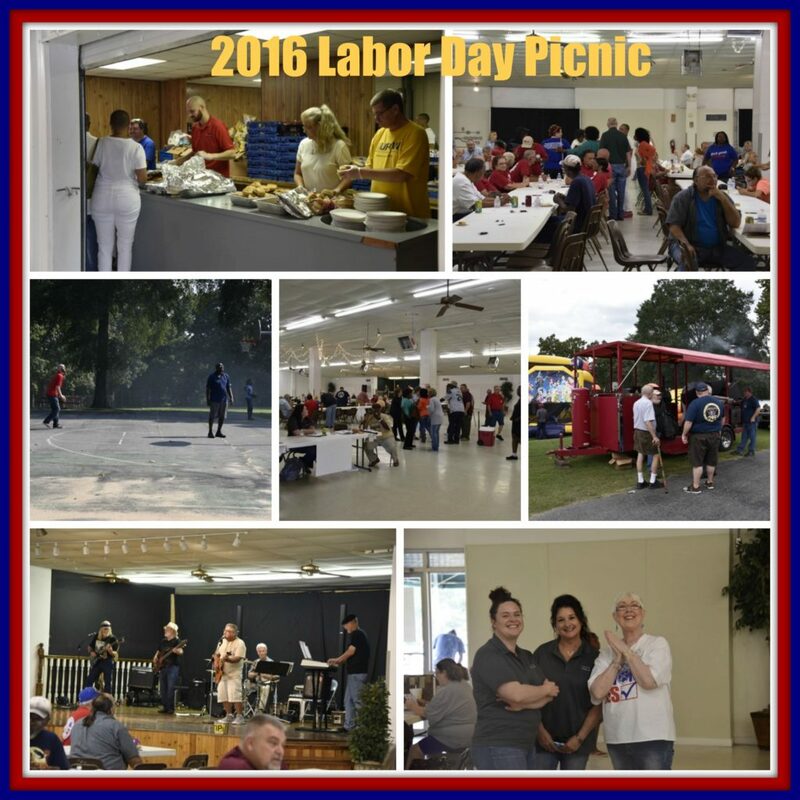 was held at DeGray Lake Resort Conference Center May 18-19, 2017. 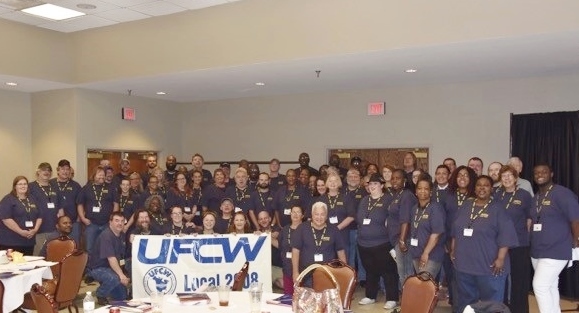 A big THANK YOU to all our Union Stewards who take the initiative to help bring about positive change in the workplace and future!!! 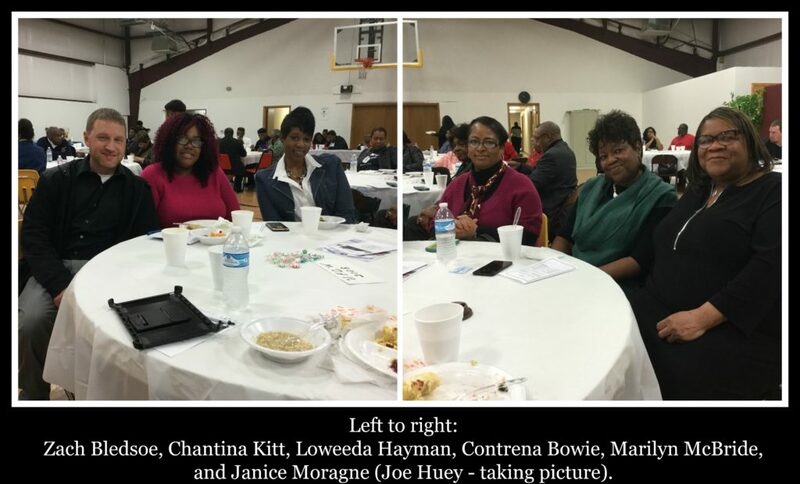 honoring Dr. Martin Luther King’s Birthday on January 14, 2017, hosted by the A. Philip Randolph Institute. 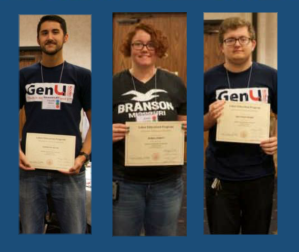 This years’ graduates: Chandler Belew, Jenna Corbitt, and Matt Crosby, – Congratulations to you all! 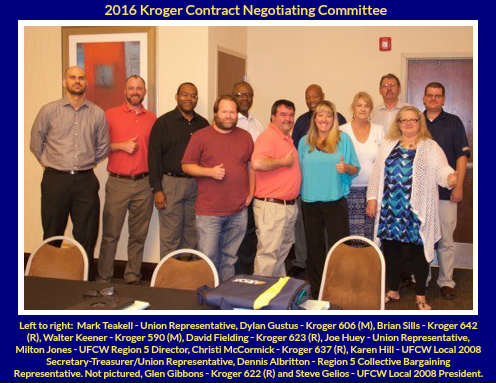 (Left to right in a circle.) 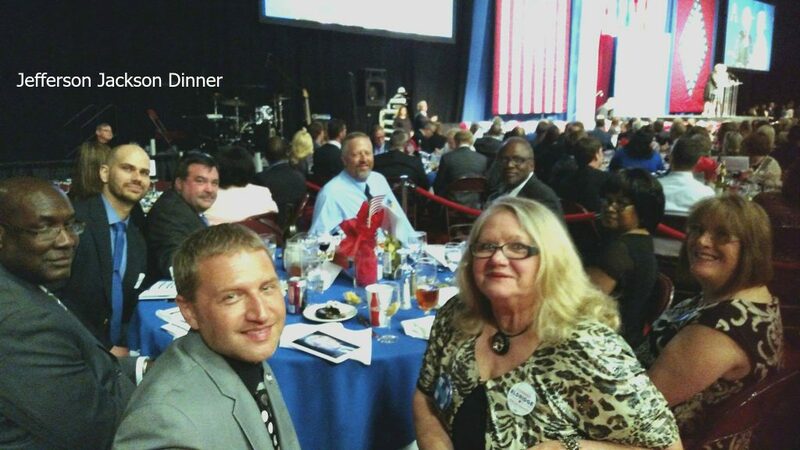 Jonathan Dickson, Mark Teakell, Joe Huey, Matt Garbacz, Suzanne Garbacz (taking picture), David Fielding, Shirley Fielding, Deborah Lynn, Barbara Bradley, and Zach Bledsoe attended the 35th Annual Jefferson Jackson Dinner. 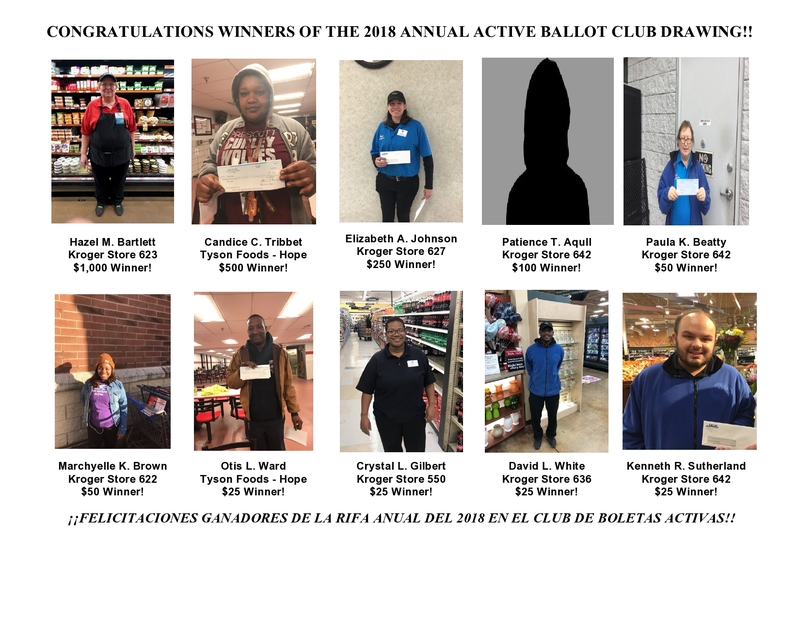 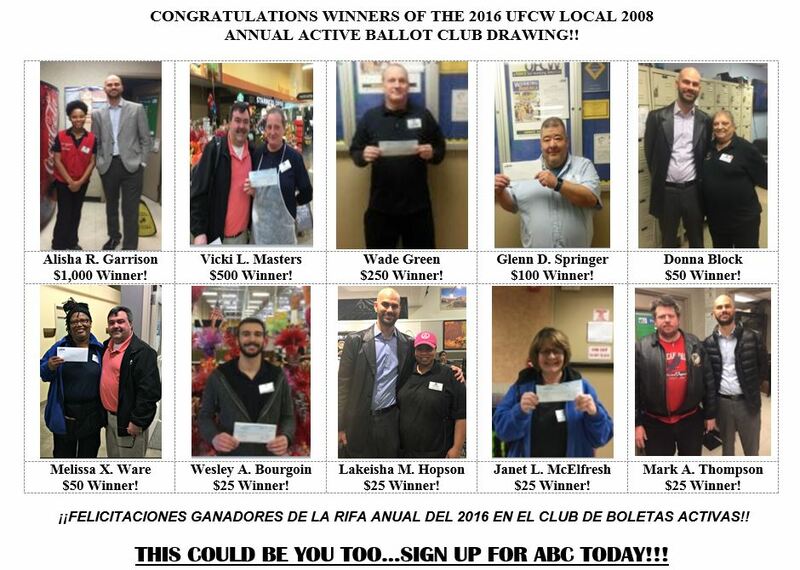 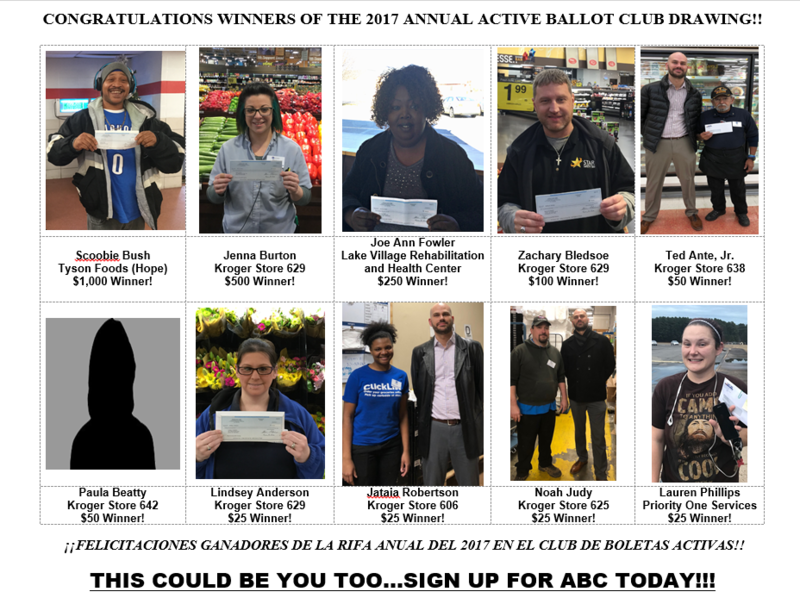 UFCW Local 2008 2015 ABC Drawing Winners! 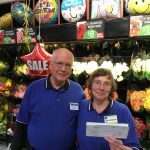 Helen Lynn Harrison – $1,000 Winner! 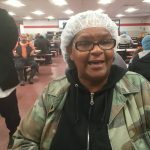 Georgia Phillips – $500 Winner! 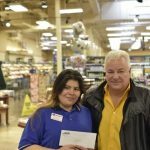 Samantha Sanchez – $250 Winner! 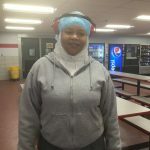 Lekeshia Brown – $100 Winner! 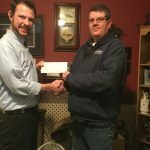 Kaleb Dickey – $50 Winner! 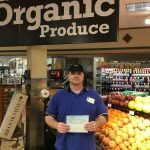 Jerrel Anderson – $25 Winner! 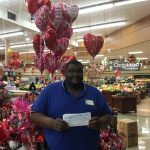 Cedric Ridgle – $25 Winner!